1. I ran my first half marathon yesterday! 13.1 miles in 2 hours 19 minutes! I'm absolutely chuffed with that and feeling very proud of myself. 2. Sensations Cinnamon & Salt Popcorn. 4. Radox Muscle Soak Bubble Bath. My poor aching legs very much appreciate that. 6. Finally cracking on with sorting my room out. 9. Feeling very proud of all my friends for their amazing achievements. 10. Getting to drive on the dual carriage way! I have a need for speed! 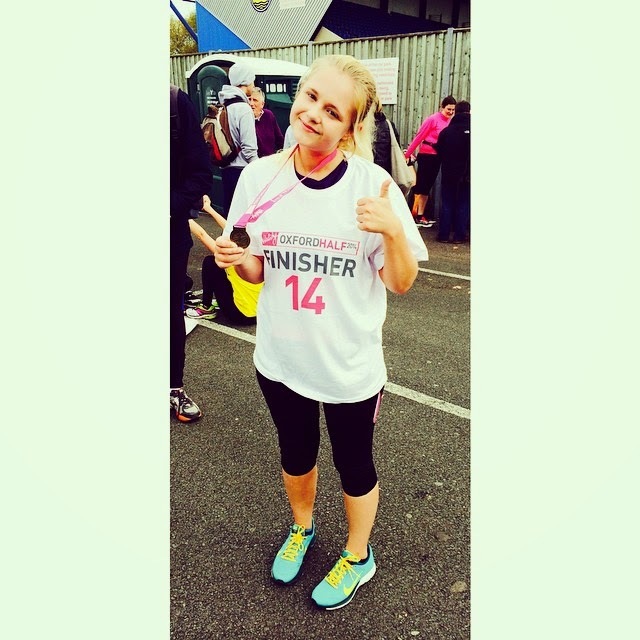 Well done on the half marathon! !